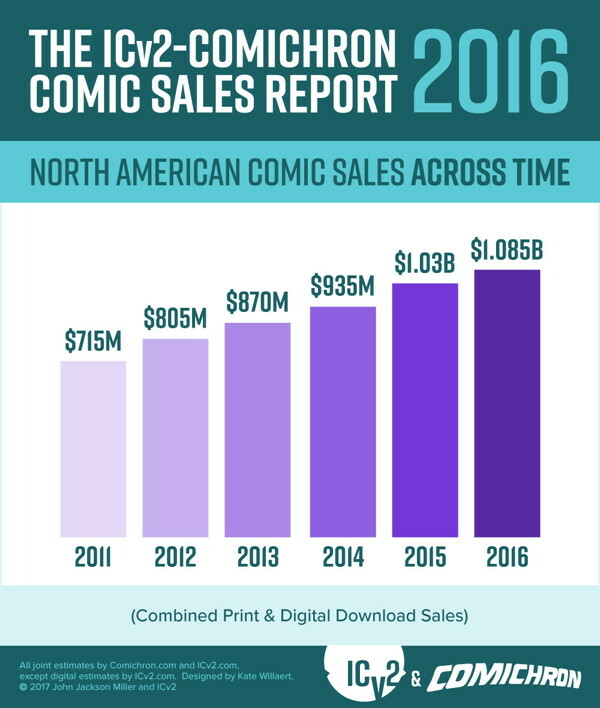 Comichron and ICv2 have released their annual join report on the state of comic sales as a whole. This includes figures for not just comic shops, but bookstores, online orders, digital, and even newsstands. 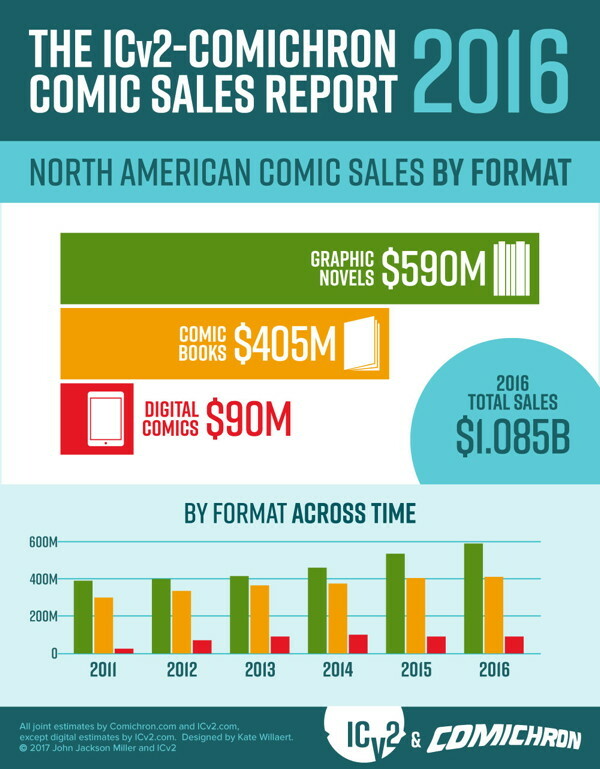 The good news is that 2016 comic sales rose 5% over 2015, reaching $1.085 billion. Below are several infographics the above sites made to illustrate the 2016 sales figures. 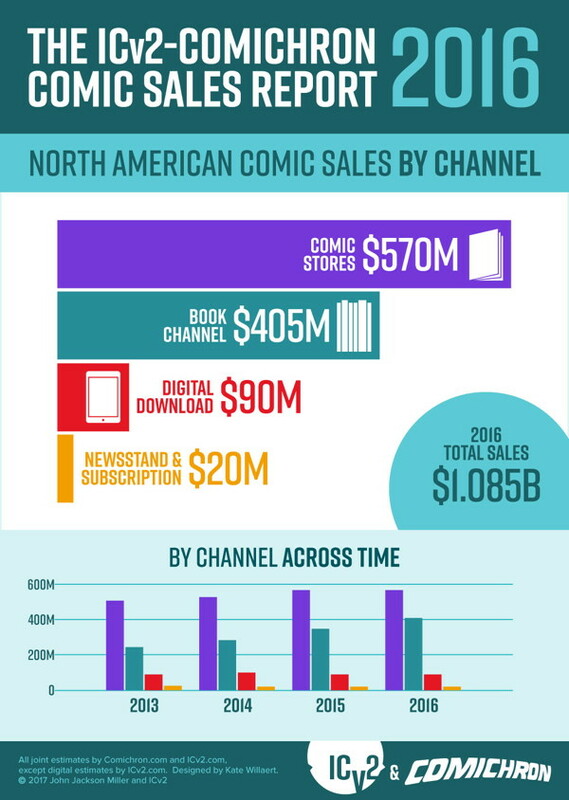 Sales of everything stayed flat, except for graphic novel sales through the “book channel.” Sales of those rose 16%, for a total of $405 million. In comparison, said sales rose 23% in 2015 and 16% in 2014. ICv2’s Milton Griepp credits DC’s Rebirth revamp with helping to keep comic shop sales at 2015’s levels. A few other sources also talked up how much periodical sales have risen in the last half-decade. Still, it’s obvious where the real growth is—graphic novels and trade paperbacks, especially through bookstores. 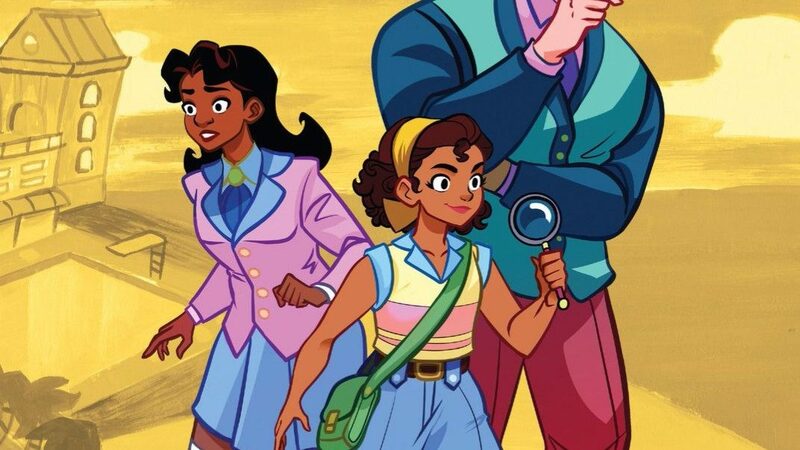 Children’s graphic novels are particularly popular through the book channel. Also, graphic novels/trades have outsold single issues for the entire 2010s. Despite the New York Times dropping its graphic novel best seller lists, graphic novels and trade paperbacks have attracted mainstream audiences’ attention. One example is NPR’s list of its top 100 graphic novels (of which only a handful are Big Two superheroes). Digital sales still being flat makes me wonder if digital subscription services or public libraries’ digital comics are affecting sales. For Marvel fans, Marvel Unlimited (with thousands of books) costs at most $10/month, or the price of two or three single-issue comics. I suppose there’s other factors possible: the state of ebook sales in general; unappealing price points (charging the same as for a paper copy); and digital buyers waiting until comics are on sale. Exact numbers on all this would be nice, but of course, those aren’t coming anytime soon.